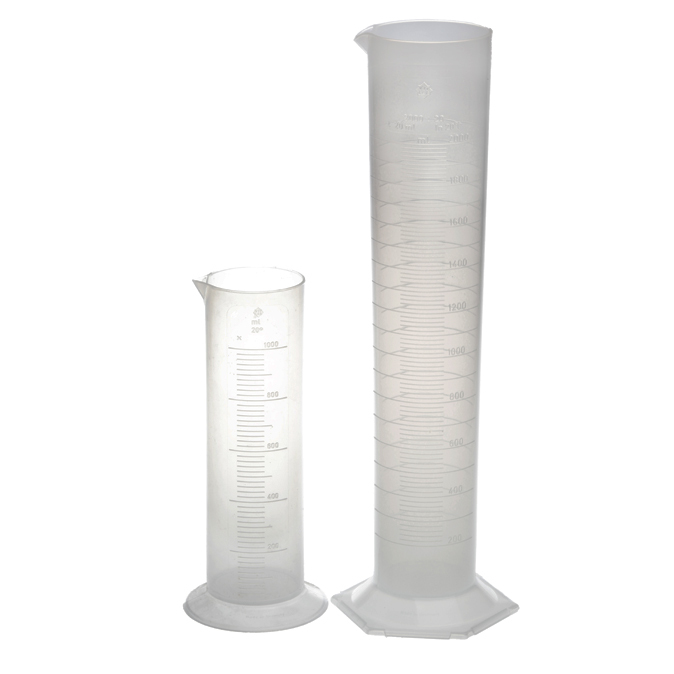 Highly transparent, with a raised scale. Ring marks at the primary scale points, hexagonal base, calibrated to contain ,In’. Tolerances class B according to DIN 12681 / ISO 6706. 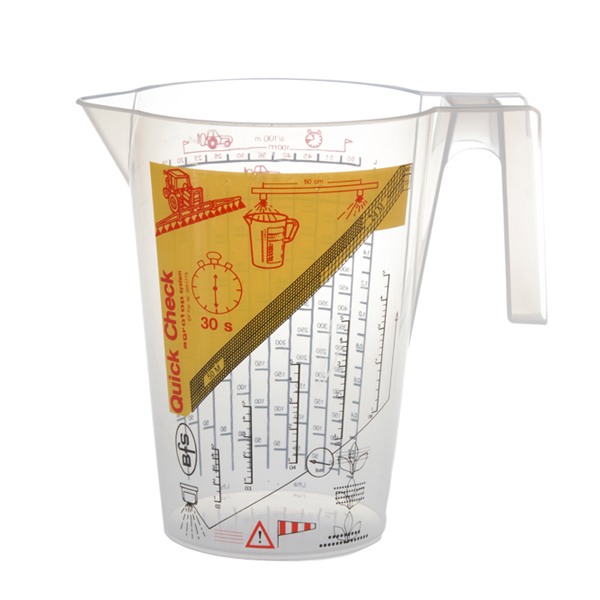 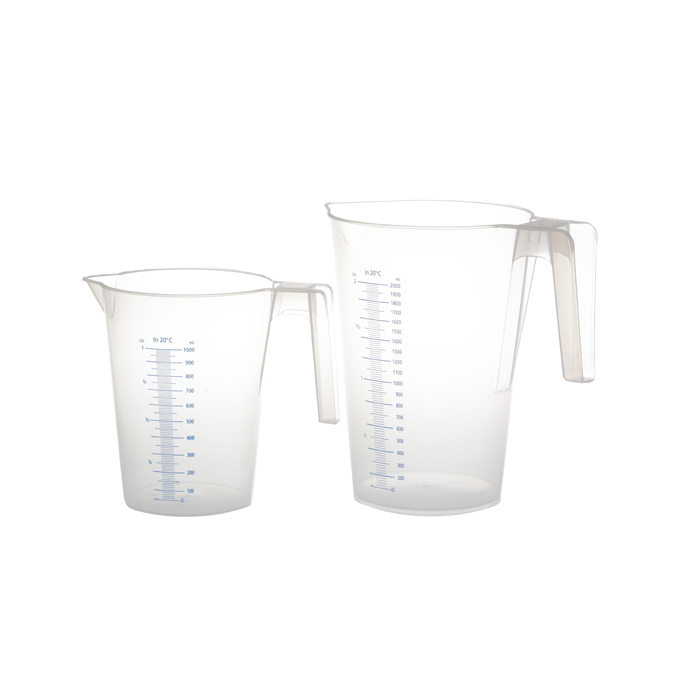 Quality moulded graduation jug, highly transparent, with a raised blue scale. 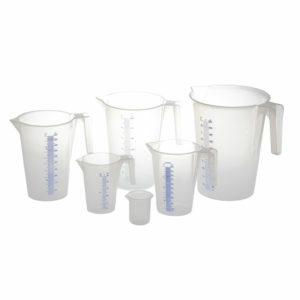 Highly transparent with printed, blue scale economy jugs.